Home Hardware Southwest is very sad to announce that honorary president John Fewings passed away on Saturday, February 24, aged 83 following a stroke. His wife Eileen and his two daughters, Jillian and Debbie were at his bedside. Home Hardware said of Mr Fewings: “John is leaving a legacy at Home Hardware that will be remembered for many years to come. Home Hardware Members throughout the country are indebted to his vision, energy and commitment. John was one of the early Members of Barnfords back in 1963 which later became Home Hardware South West Ltd. He served as a Director for many years before becoming Managing Director in 1982 and he took on the role of Chairman in 1986. 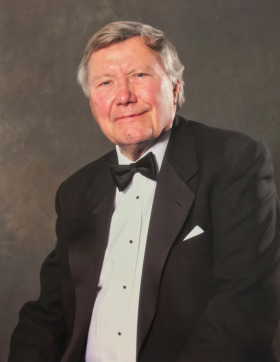 “Although John retired as Chairman in 2011 having been involved for almost fifty years and became Honorary President, he continued to take a strong interest in the company and often attended Trade Shows and Board meetings. The funeral will take place at St Peters Church, Tiverton EX16 6RP on Thursday, March 8 at 1pm, followed by a burial at Stoodleigh Church. The family invites everyone afterwards to join them at Stoodleigh Village Hall. Donations, if desired in aid of John’s local Stoodleigh Church at the service or c/o Funeral Directors: Walter H. Squires & Son, 11 Wellbrook St, Tiverton, Devon, EX16 5JW.